Planning your Big Day is such an exciting time and your mind is probably racing with all of those things that need to be planned. There is little more important to a perfectly executed event than an organized timeline. As wedding photographers, we want to make this process a little more easier and fun for you both! After having photographed over 200 weddings, we’ve seen many things that worked and didn’t work that well. 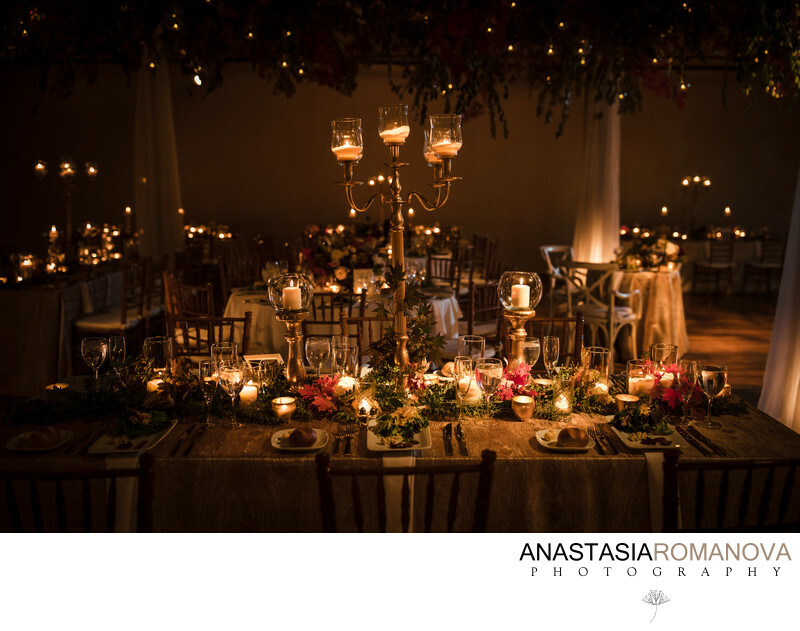 We are here to share with you some tips and advice on how to plan different aspects of your special day and assist you in building a perfect timeline so that we can provide you with the best wedding photography experience possible and to ensure you don’t miss a bit! This time of your wedding day is one of the most exciting! It is a great opportunity to capture all the anticipation and the wonderful moments happening when you are getting ready. We usually arrive 30 minutes before your hair and makeup has to be finished so that I (Anastasia) can get some photos of the final touches. Vladimir will go to the groom’s suite and will start documenting the groom’s details and groom and groomsmen getting ready. Once the hair and make up are finalized, I normally like to allow at least 15-20 minutes to photograph the bridal details. After that, I can gather the girls for some fun robe/pajamas photos before everyone starts getting into their dresses. The moment of the bride putting her wedding gown and veil on is one of the most beautiful and special ones during the morning of preparations, so make sure you have enough time allotted for that. 20-30 minutes is usually what it will require. Once you are ready, it is a great idea to do a first look with your bridesmaids and with you dad. Gather all of your wedding details like dress, shoes, invitations, jewelry, flowers, wedding rings and keep them all in one spot before photographer’s arrival. You can also delegate this to one of your bridesmaids. That will save me some time looking for every single detail and I can start photographing all those pretty things right away. Put your wedding dress on a wooden hanger. It doesn’t necessarily have to be a fancy custom hanger from Etsy, but a wooden one will look much better than the white plastic hanger from the bridal salon. Pick a spot where you will be putting your wedding dress on beforehand and try to keep it uncluttered. A window with a natural light is always a bonus point! Decide who you want to be helping you with putting on you wedding dress and the veil (you mom, sister, maid of honor) and have them get into their dresses first. That was it will look much better on photographs! So what is a first look? First off, it is a very romantic addition to your special day. It is a private ‘first meeting’ of the bride and groom where they see each other before the ceremony. One of the biggest benefits of doing the first look is that you can take all your formal wedding photos prior to the ceremony and you don’t have to miss the cocktail hour. In fact, you will end up having much more portrait time. 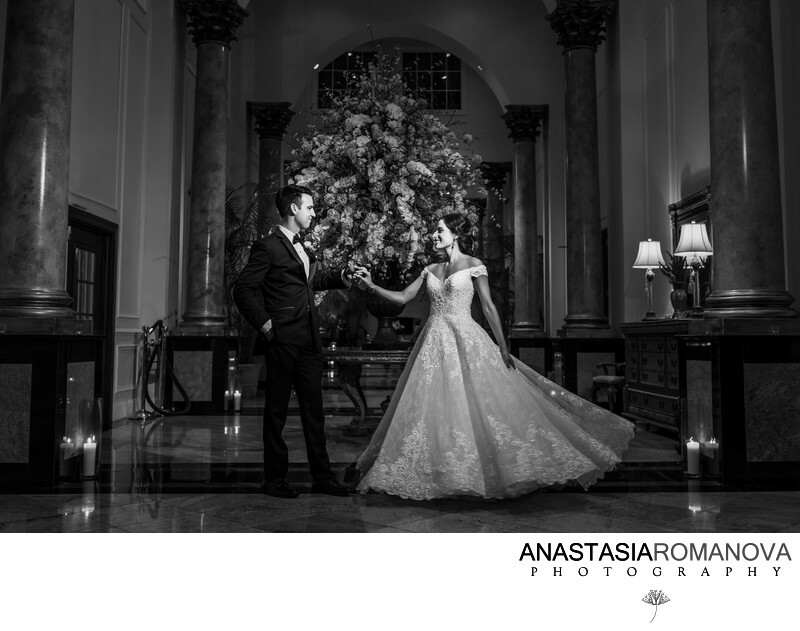 The wedding photography is a big investment and with the first look you will be able to get the most for your money. Another important thing about the wedding first look is that it reduces stress, especially prior to the ceremony. You will be able to see each other in a private setting, without tons of eyes being on you. It is probably the only time when the two of you will be able to be together and alone the whole day. 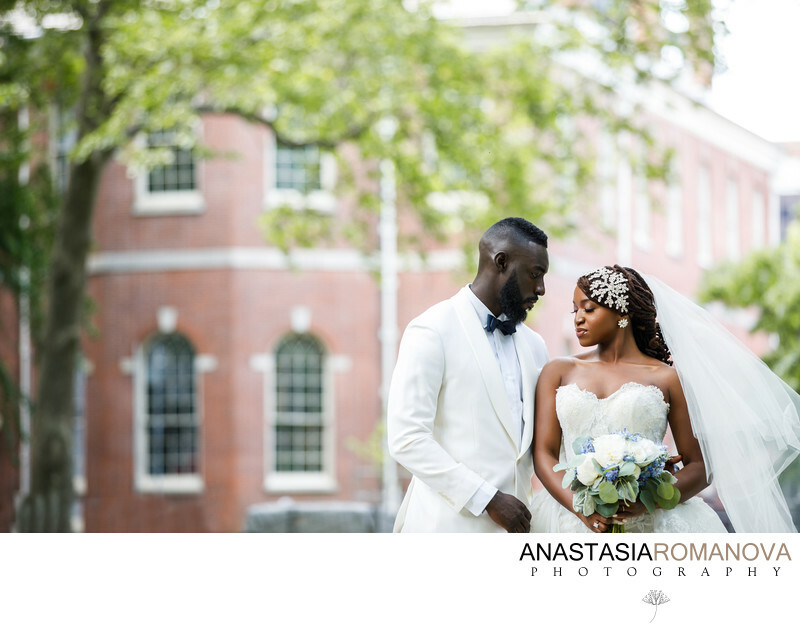 A lot of our couples shared that their first look was one of the most memorable moments of their wedding. It felt great to be able express one’s emotions freely without worrying about all your guests watching you. First look is definitely a great opportunity to get rid of your nerves. A lot of couples admit that they had no idea how nerve racking a wedding can be, but after doing the first look they felt much more relaxed and ready for the ceremony! However, we absolutely understand a desire of waiting until the ceremony. If you would like to stick to a traditional way of doing things and see each for the first time when walking down the aisle, we would be happy to tune in with your vision for that portion of the day and plan your wedding timeline accordingly. In this scenario, we start the couple’s and bridal party portraits right after family photos that are usually taken right after the ceremony is finished. This is when the real fun begins! As wedding photographers, we know that all couples want their closest friends to have an amazing time during their wedding and we want to make sure that happens and everyone feels comfortable and taken care of! Bridal Party photos are usually taken right after the bride and groom together photos, depending on the location. We love starting with the full group photographs, taking a variety of classic and fun, more natural looking shots. Then we work on photographing the bride with her bridesmaids and groom with his groomsmen separately, including the individual photos. Since there are two photographers, we are able to capture girls and boys simultaneously, without keeping your bridal party waiting, and taking the most of our portrait time. Please keep in mind that the time needed for your bridal party photos may vary depending on the size of your group. 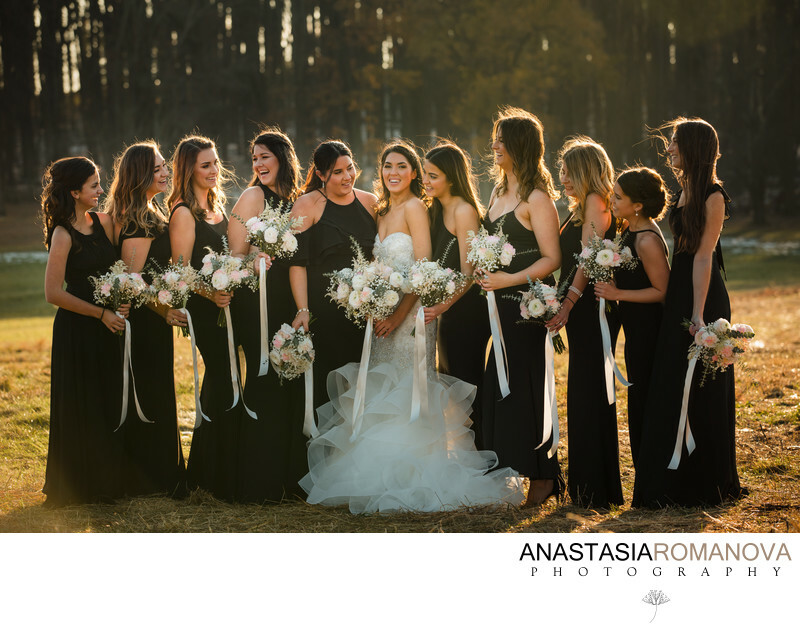 While 20 minutes will be quite sufficient for a group of 6 people total (bride and groom included), having 10 bridesmaid and 10 groomsmen will instantly result in doubling that timeframe. This portion of the day is one of our favorite as we are about to create some of the most meaningful images of the two of you that will hang on your walls and fill your album for generations to enjoy. Prior to your wedding day we will discuss all the locations you would like to go to for your portraits together. When capturing the wedding photos of the bride and groom together, we always try to work on a variety of styles and poses. 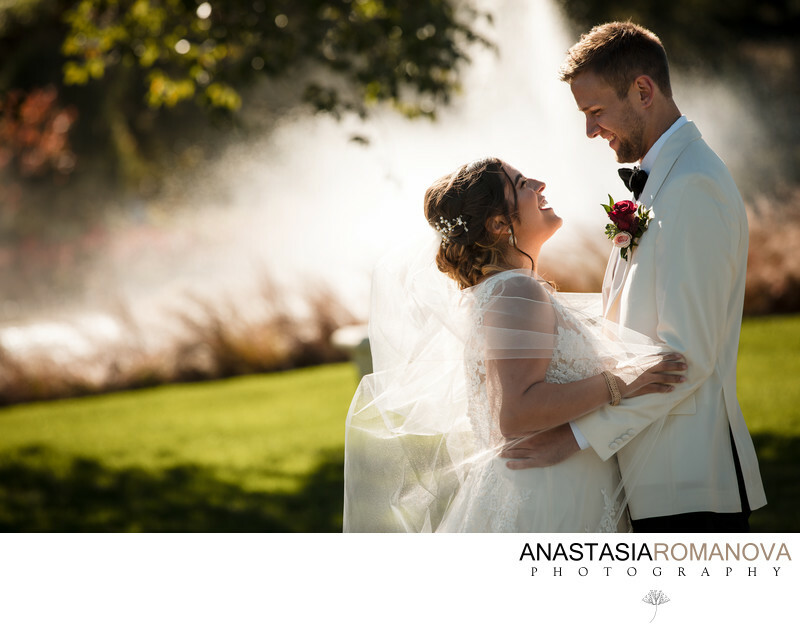 As much as we love capturing our couples in a very natural looking, candid atmosphere, we understand the importance of having some classic, traditional looking portraits captured as well. A simple photo of the two of you looking straight into the camera will probably be the one that your parents will love the most! During our pre-wedding meeting or a phone call, we will discuss in more details what kind of photos and styles you love and appreciate the most. A lot of our brides love sharing their Pinterest inspiration boards with us which is sometimes very helpful. Bonus points if the images from our website are included as well! While we don’t work off the Pinterest Boards and shot lists, we love to use those to have a better understanding of the things you like the most. 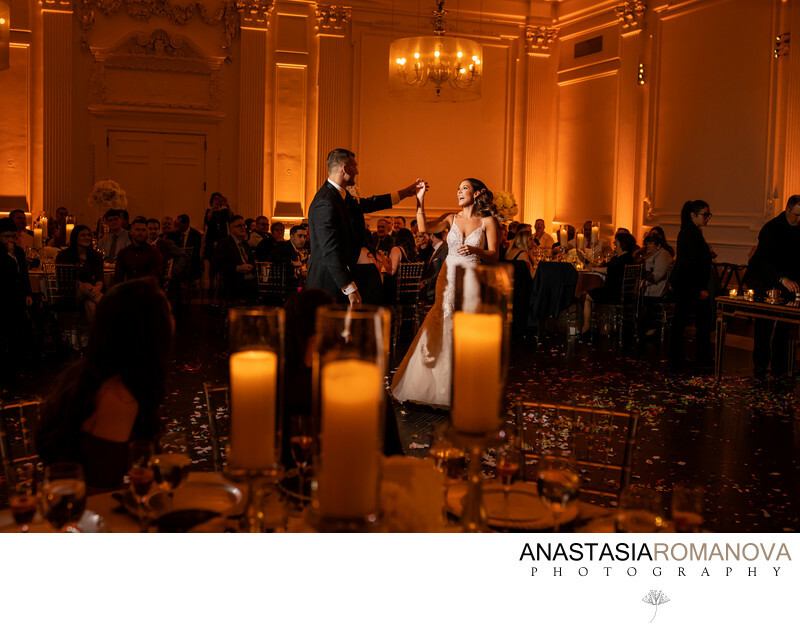 In the end, our goal as weeding photographers is to tune in with your vision as much as we can and to deliver the final product that will exceed your expectations. Please note that we might not need the entire two hours for the bridal party and bride and groom together photos. However, if you are getting married in the city and plan on going to a few different locations, that is a very realistic timeframe portraits will require. Also, padding you timeline for travel and traffic is always a good idea too. Family Formals is an essential portion of your day. Those are the photos that your parents and grandparents will probably cherish the most and we always make sure we capture all the important groupings you need. For this reason, we will ask you to provide us with a family shot list prior to the wedding to make sure we are on the same change. Family portraits are typically taken immediately following the ceremony, although some exceptions may work depending on your wedding day timeline. We will do our best to make sure all of your requested family photos are completed. Please be aware that time is a factor and each group will generally require between 2-4 minutes depending on how large and well organized your family is. The photographs of the reception room details and decor are usually taken during the cocktail hour and require 15-20 minutes. This is the only time when we can photograph all the beauty of your reception room before the guests arrive and take their seats. 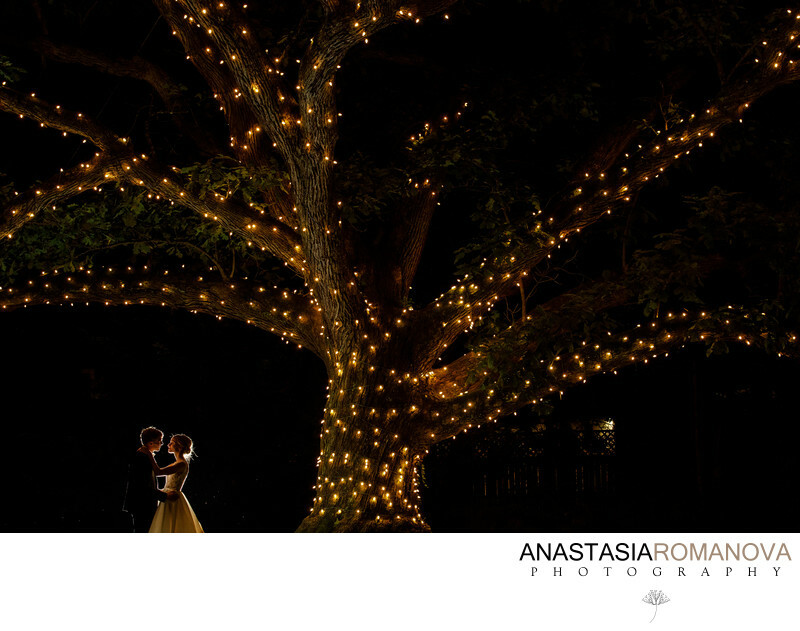 During your reception, it is great to plan 15-20 minutes to sneak out for some additional night time photographs of just the two of you together. Your venue might be featuring some beautiful uplighting outdoors or might have some breathtaking views of the night city skyline etc. The ideal time for these photos is when you already had a chance to grab a bite to eat or sometime during the open dance floor. - if you have any other cultural traditions involved in your day, etc.